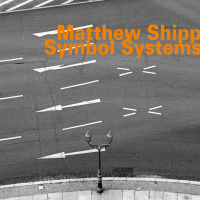 The ESP-Disk label simultaneously has released two distinctly different leader dates from Matthew Shipp. 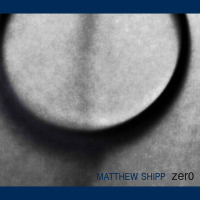 Zero is an excellent solo piano album, and here, we have Shipp's namesake quartet on the ten-track Sonic Fiction. The shared deference and camaraderie in this free-spirited outing allows for an appreciation of even the slightest details and distinctionselements that can easily be lost in such an open setting. The quartet is made up of familiar Shipp colleagues but not previously heard in this specific grouping. Polish saxophonist and reed player Mat Walerian has the most recently established association with Shipp. The pair released Live at Okuden (ESP-Disk, 2015) under the duo name The Uppercut. 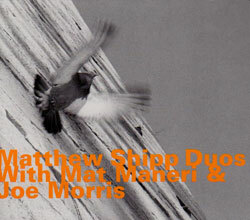 The duo followed up with two more albums in the trio format with Hamid Drake and William Parker respectively. 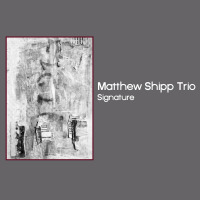 Bassist/composer Michael Bisio has been a member of Shipp's trio since 2009, first recording with that group on Art of the Improviser (Thirsty Ear, 2011). Bisio has released more than a dozen recordings as a leader and has composed for film as well. New York free jazz drummer Whit Dickey has a long and extensive history with Shipp, appearing on fourteen of the pianist's albums, and on two of his own leader dates. Sonic Fiction's relatively compact pieces cover a lot of musical territories. "Blues Addition" opens with an appealingly melodic solo from Shipp. Bisio then bridges the piano with Walerian's languorous clarinet. 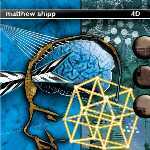 Similarly paced and structured is "Cell in the Brain" though the melodies are more episodic; the abstraction more in the forefront. "The Station" features Walerianagain on clarinetemploying extended techniques on this solo piece. Shipp's gentle, but idiosyncratic "Easy Flow" is a solo track as well. On "The Problem of Jazz" Bisio takes an extended solo through the first half of the piece whereupon Walerian, on alto, bursts in with a fiery improvisation before handing it back to Bisio who resumes his solo for a satisfying wrap-up. "Lines of Energy," "3 by 4" and the title track are all-hands amalgams of bebop and free playing. Shipp's own presence on Sonic Fiction is limited as his democratic approach to the quartet puts Walerian and Bisio out front on many of the tunes. Dickey, as always, is a propulsive force, even as he proceeds with understated shading and texture. As produced by this unit, the music is in line with the expectations that have come out of Walerian and Shipp's previous work. The reedist's playing is inventive, even at its most subtle, and an effective contrast to Shipp's edgier passages. Overall, the lexicon here is clearly one that has been developed and honed by Shipp over time and Sonic Fiction is as perplexing, interesting and spirited as any of Shipp's quartet work. 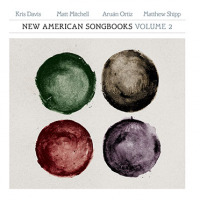 Track Listing: First Step; Blues Addition; The Station; Lines of Energy; Easy Flow; The Problem of Jazz; The Note; 3 by 4; Cell in the Brain; Sonic Fiction. 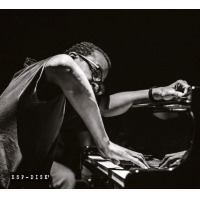 Personnel: Matthew Shipp: piano; Mat Walerian: alto saxophone, bass clarinet, clarinet; Michael Bisio: bass; Whit Dickey: drums.